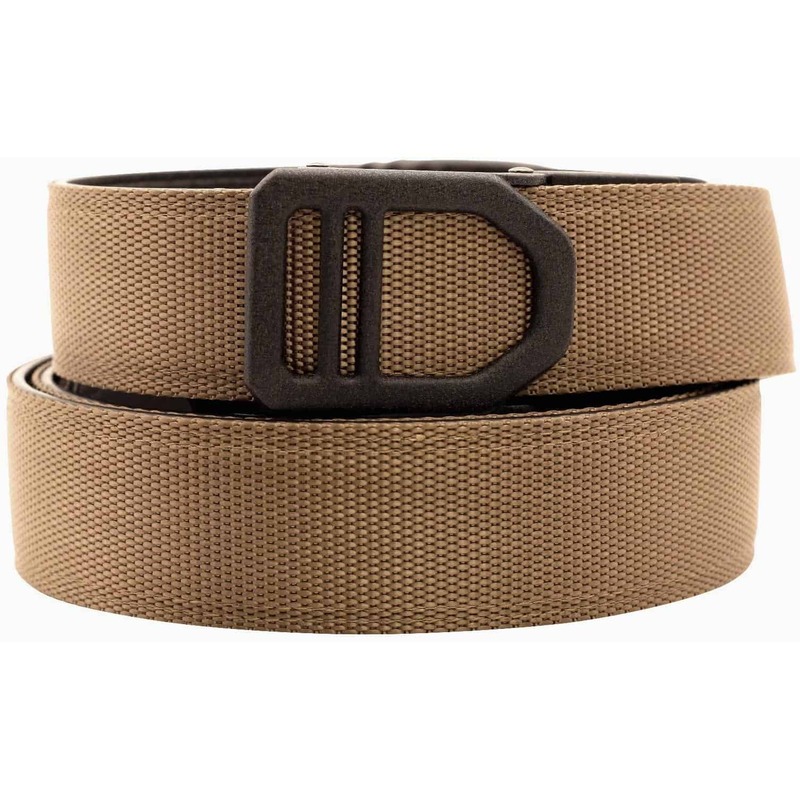 > Best fitting, most comfortable EDC gun belt you’ll ever wear. Precise, secure fit provides a smooth, fast draw every time. > NO Belt Holes. 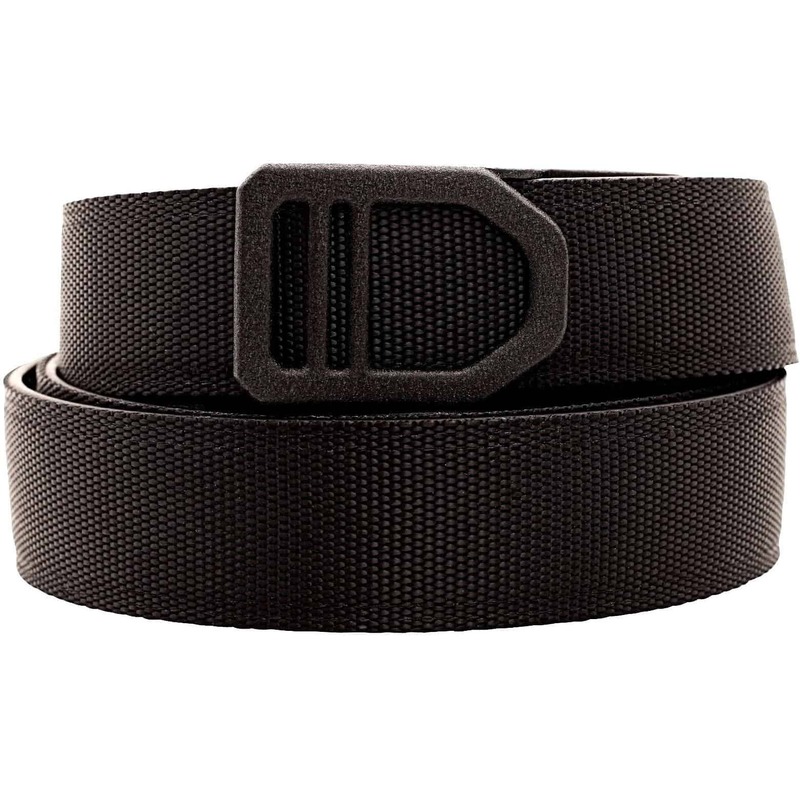 Instead our Kore concealed carry belts use a hidden track with 40+ sizing positions, so you can adjust ¼” at a time. Result = 800% more adjustable vs. traditional leather gun belt. 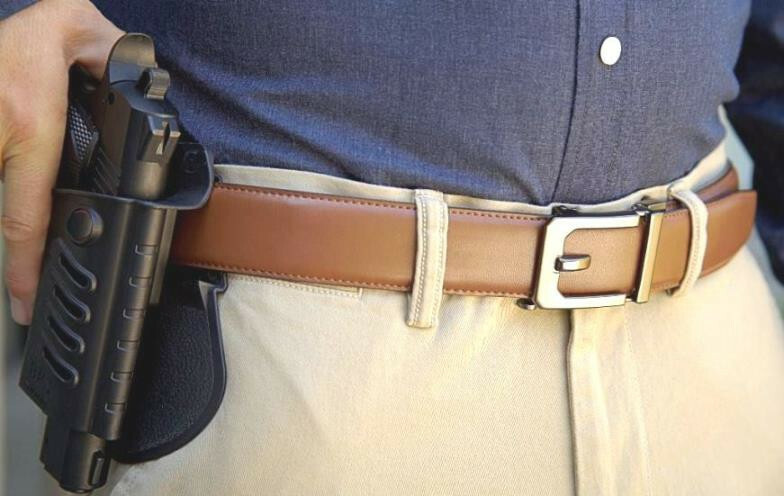 Gun belts are One-Size & fit any waist from 24” to 54” (1.5” wide). Top-Grain leather & reinforced poly-core center for support & stiffness. 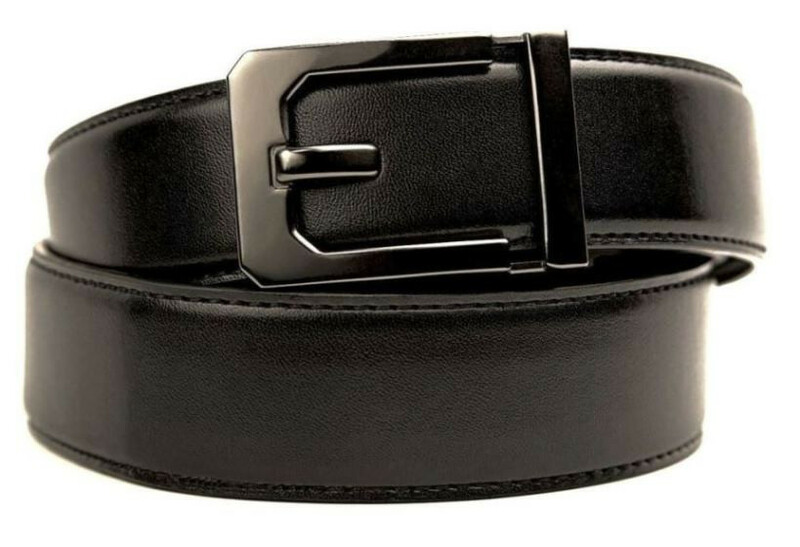 Buckle styles differ but mechanism and function is the same. > Nylon webbing outer (rated to 500 lbs) & reinforced poly-core center for support, with water-resistant super-fiber backing. 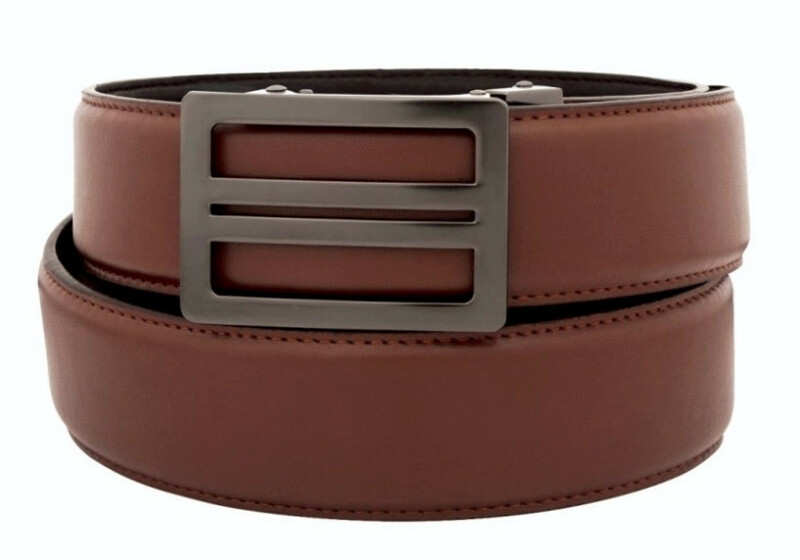 Buckle styles differ but mechanism and function is the same. 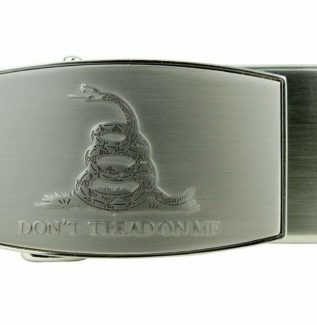 Classic subtle buckle designs, because no one needs to know you’re carrying. > Buckle pops open bottle tops, or pops off to swap belts, or pass thru airport security with leather on. 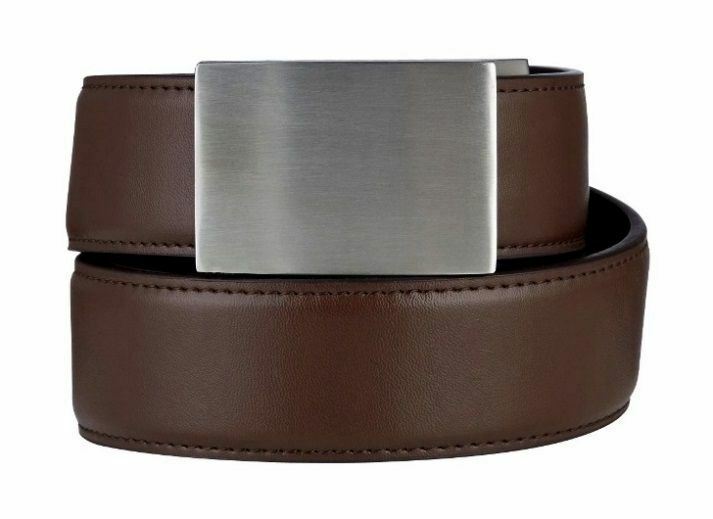 This belt does more than just look good. One-Size fits every waist size from 24″ to 54″. You trim your new gun belt to your precise size. It’s easy and takes just 2 minutes to do. 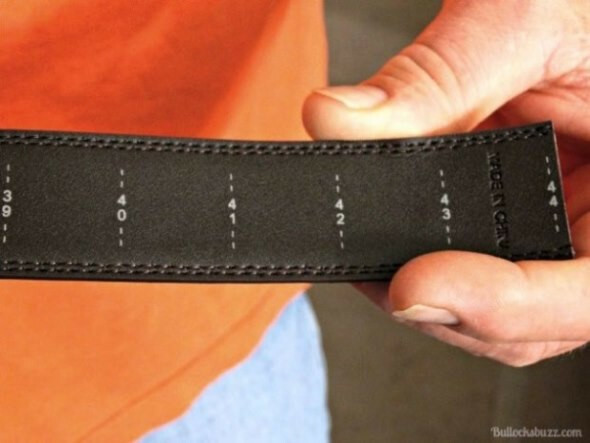 On the back of the leather belt, we printed a sizing ruler. Find your pant size on the ruler and add 4 inches (6″ for IWB). Using sharp household scissors trim off excess leather. Insert cut end of belt into buckle teeth and clamp down firmly. 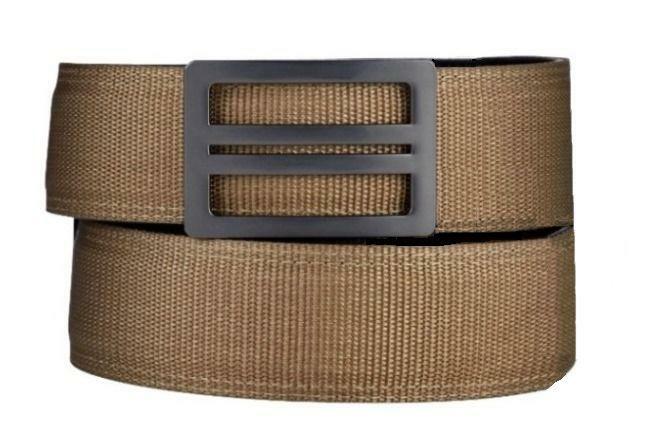 Feed belt around your waist (Left to Right), through buckle and click until snug. 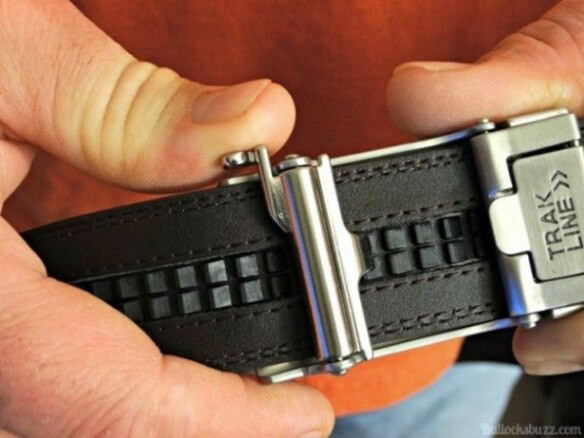 If belt is too long, leave belt on, remove buckle and trim one inch at a time. 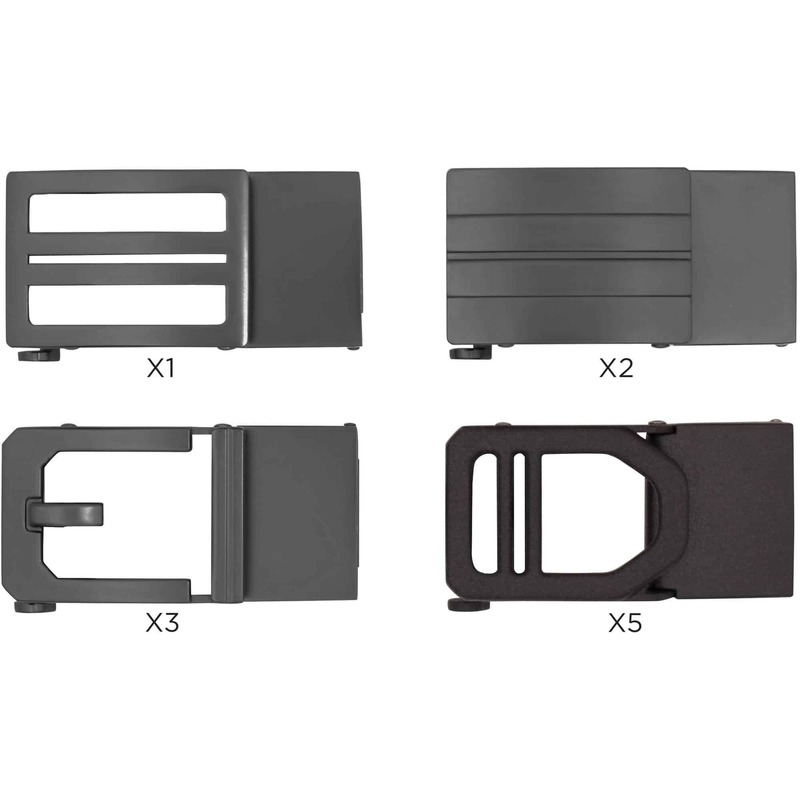 Heavy-duty ratchet buckles (4.3cm x 6cm) are high-grade zinc alloy (contains nickel) with a gunmetal finish. 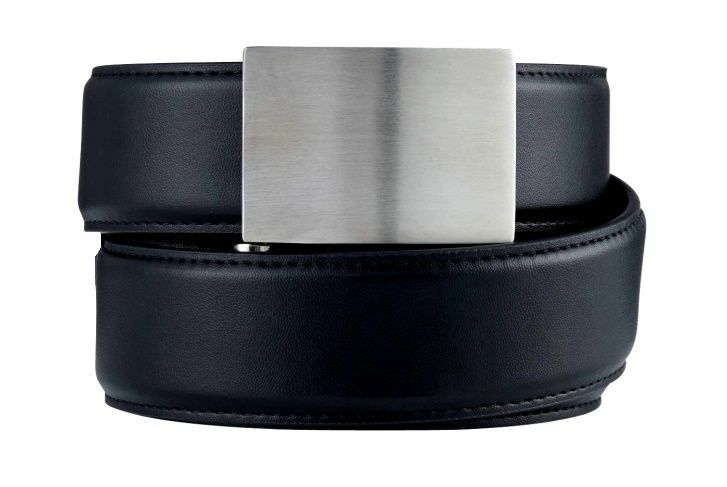 Only difference between buckle models is the style – mechanism and function are identical. 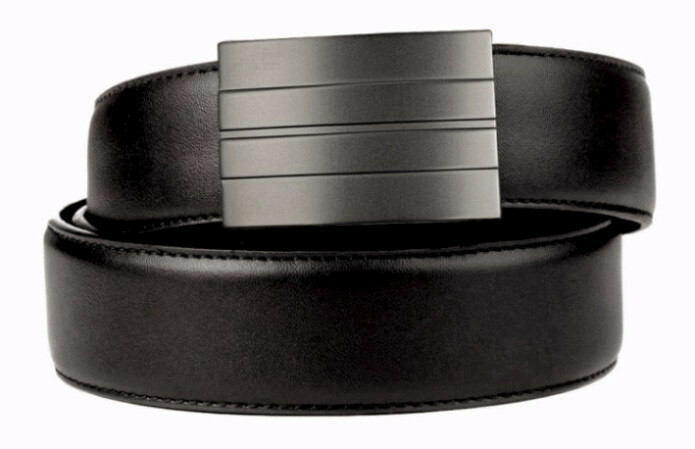 Gun buckles and belts are interchangeable with other Trakline Gun buckles and belts (not fashion buckles or belts). 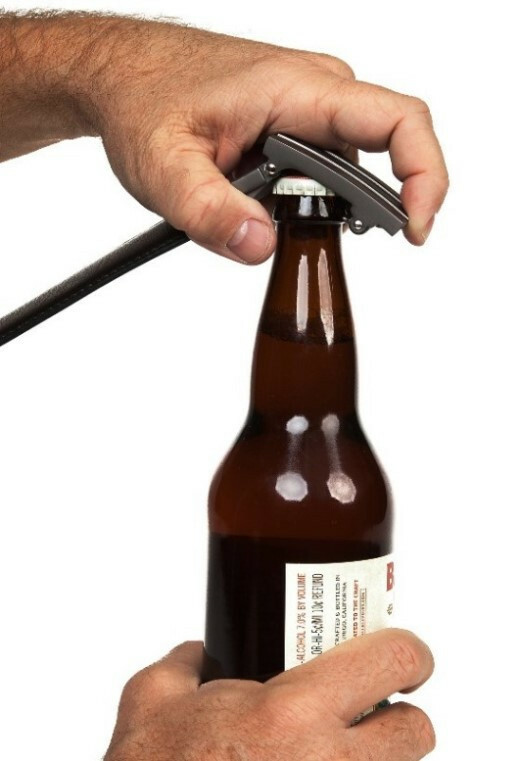 Underside of the buckle can be used to open bottle tops. Or pop the buckle off, leave the leather on, and pass thru TSA airport security quick and easily. 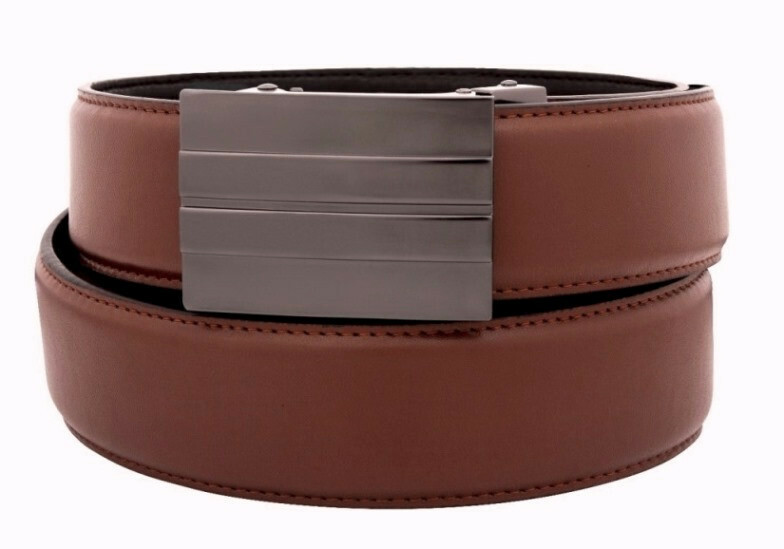 Gun belts are Genuine Leather or Nylon Web with a Reinforced with Polyurethane Core – 1.5″ wide and 5.5 mm thick – for added support and to prevent roll-over. 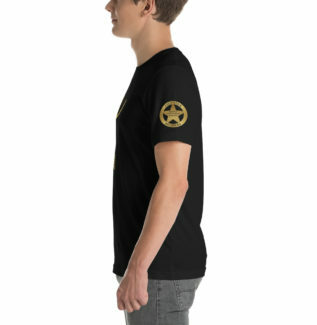 Designed to support holstered firearms (IWB & OWB), up to a maximum of 4 lbs. total weight. No belt holes. 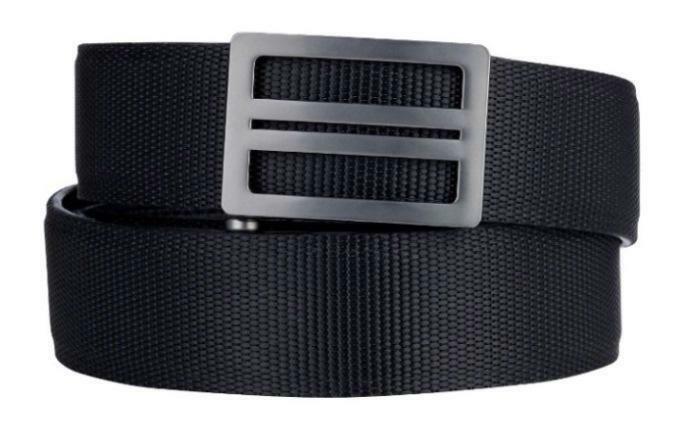 Trakline gun belts feature a 10″ virtually indestructible, hidden track with over 40 size positions for waist adjustments in small 1/4″ increments. 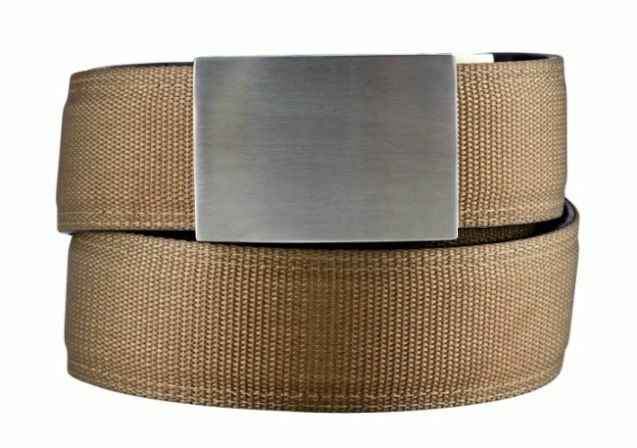 Not duty or tactical rated belt, but rather the perfect EDC or CCW belt for work, play, or out on the town. Because no one needs to know you’re carrying. 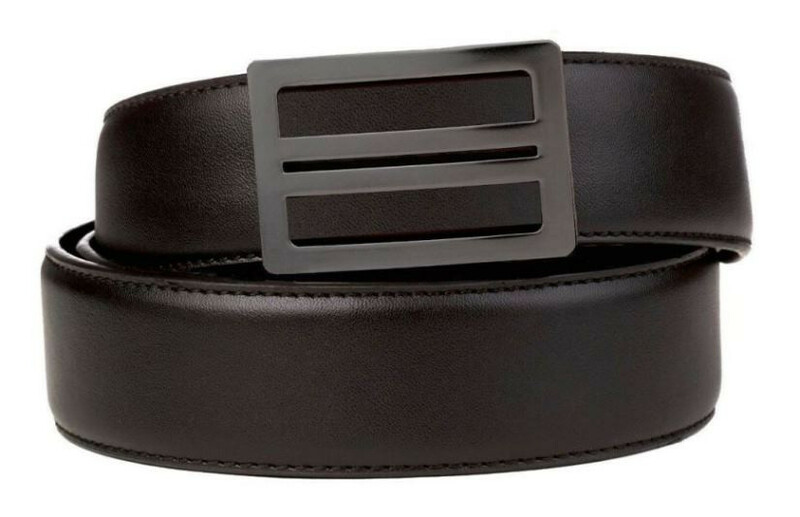 I bought this belt because I like to have a dressier belt but also carry conceal 98% of the time. 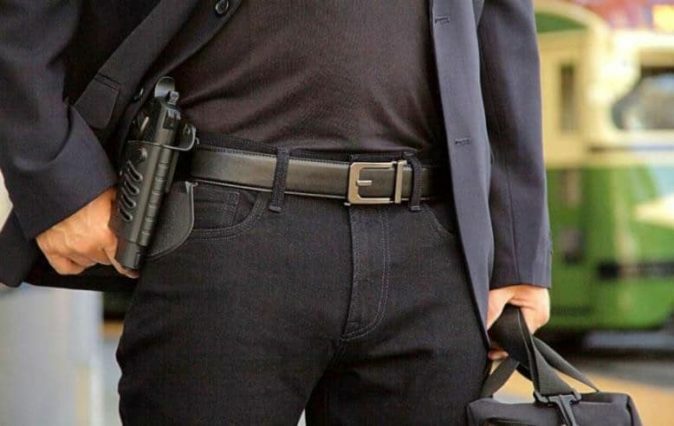 I have known for years that when carrying you can not wear just a standard belt, it wont hold your pants up and the belt will roll after you have worn it for a while. 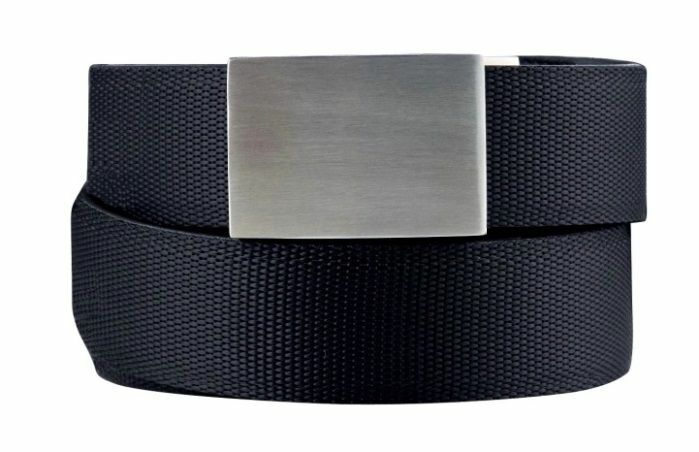 This belt is Tops. 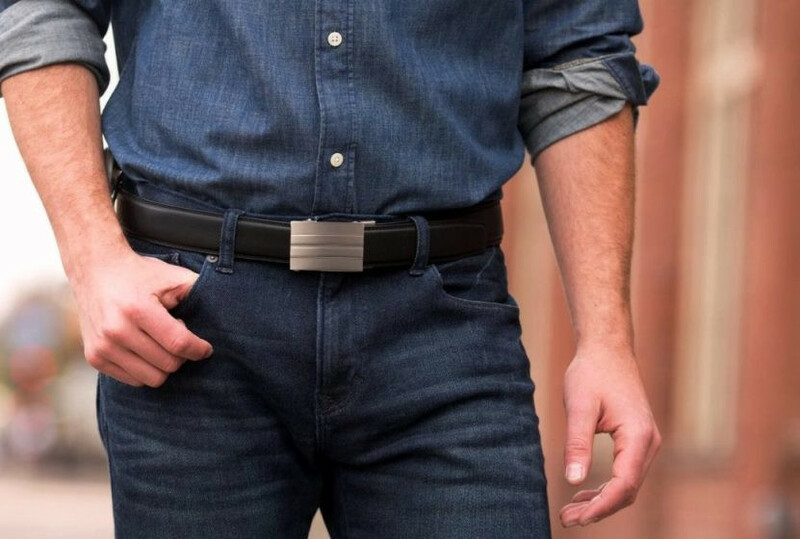 it is a dressier belt, but can be worn with jeans, It is a true gun belt with a piece of plastic running down the center of 2 quality leather pieces, and the way that the trek line works with out holes is the best. I can tighten or loosen the belt on the go and nobody else even knows that I am doing it. 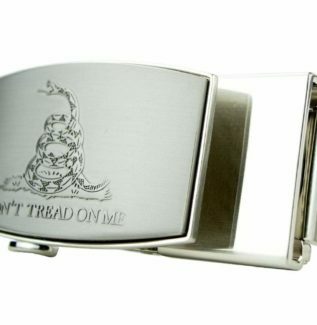 Another bonus is that the buckle comes off easy in the airport. 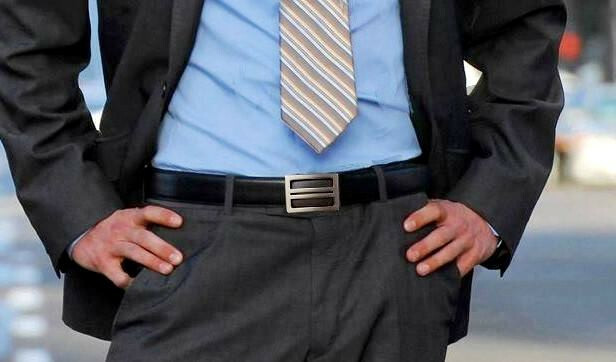 I don’t take off my belt like everyone else, just the buckle!! 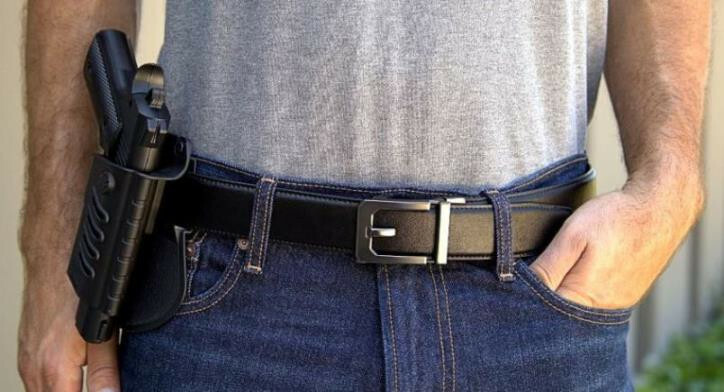 Best Conceal Carry Belt out there with the best price!!! 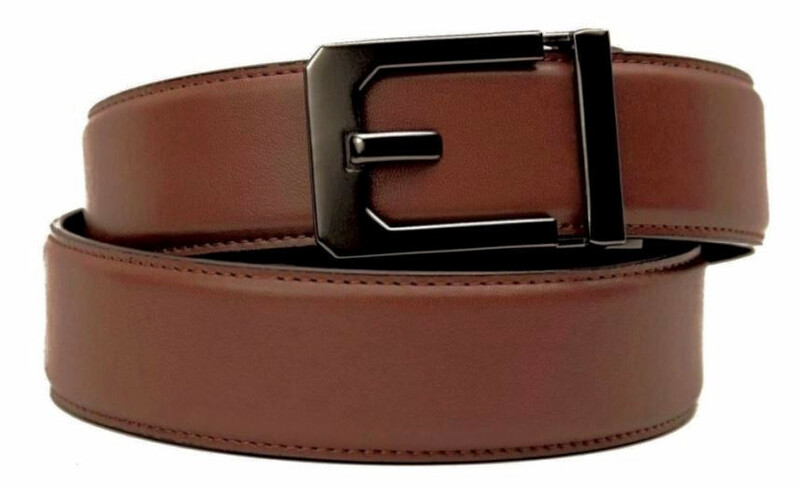 I have just ordered a brown belt also and then I can swap the 2 buckles back and forth to make it like I have four belts..